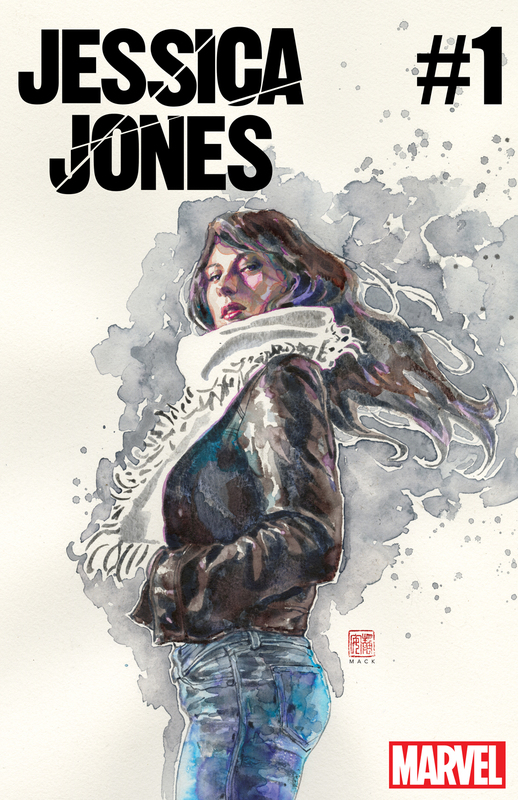 After a decade, Jessica Jones is back in an all-new solo series! This fall, one of the most complex characters of the Marvel Universe returns for an all-new mystery from the original creative team — Brian Michael Bendis (Civil War II, Invincible Iron Man, Spider-Man, Alias) Michael Gaydos (Alias, Avengers), and David Mack (Alias, Daredevil). 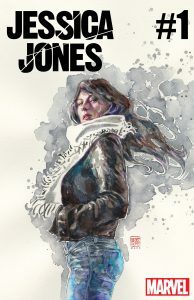 A lot has happened to Jessica Jones since her debut, but the biggest difference that will be a factor in this new series is the baby girl, Danielle, she had with husband, and former Avenger, Luke Cage. What unsolved mysteries have fallen through the cracks and what dark secrets have been unrevealed within the Marvel Universe? Alias Investigations is open for business and Jessica Jones is on the case.